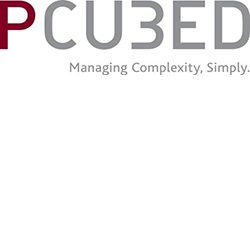 PCU3ED is a global firm comprised of industry executives and delivery experts. We are a 1,200 strong global consultancy, part of the ALTEN Group. We deliver business results through the pragmatic application of best in class portfolio, program, project and change management disciplines. § We partner with clients to transform their delivery capability and help them to succeed in achieving their objectives. § We are specialists, with over 1,100 delivery professionals and nearly 500 specialist associates worldwide. § We are the largest global independent provider of portfolio, program, project and change management services. PCU3EDs cyber security team is highly experienced and proficient in the protection of digital and physical assets. We aim to establish and develop long term relationships in which we can be considered trusted advisors. We have experience working with government and non-government bodies and can tailor our services to meet any business need. Our core capabilities include: Security Program and Strategy, Risk Management, IRAP Assessments, Business Requirements Alignment, Security Architecture Design, Auditing and Pen Testing.